Now in it's seventh year, The Japanese Film Festival returns to Cork with the best of new Japanese cinema, running at the Triskel Christchurch from 19 – 22 April. 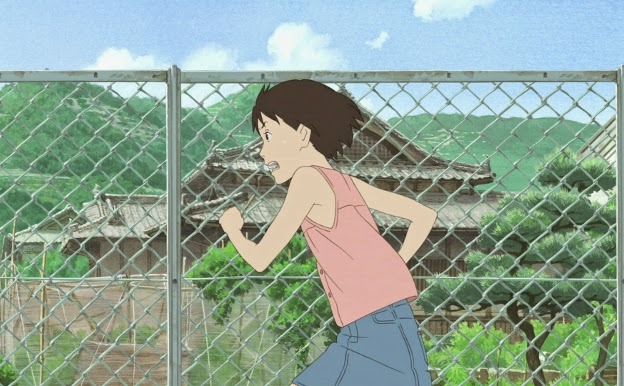 The most acclaimed filmmakers from contemporary Japanese cinema are featured and this year’s expanded programme includes a wide range of genres from popular animation to classics. In previous years the Japanese Film Festival has boasted sell-out screenings, and the organisers expect this year to be no different, with a carefully selected programme designed to intrigue, educate and entertain. As ever, the anime programme continues to be popular with audiences. This year’s highlight is Letter to Momo, a beautifully animated tale of a young girl coping with bereavement who gets some surprise supernatural assistance. Japan has a rich cinematic heritage and this festival has proven that films currently being made in Japan are every bit as vibrant and exciting. If you’re not familiar with Japanese cinema, we encourage you to experience some of the unique and diverse films from this extraordinary country. Check out the full list of films being shown at the Triskel Christ Church below. Monday April 20th @ 6pm Wood Job!